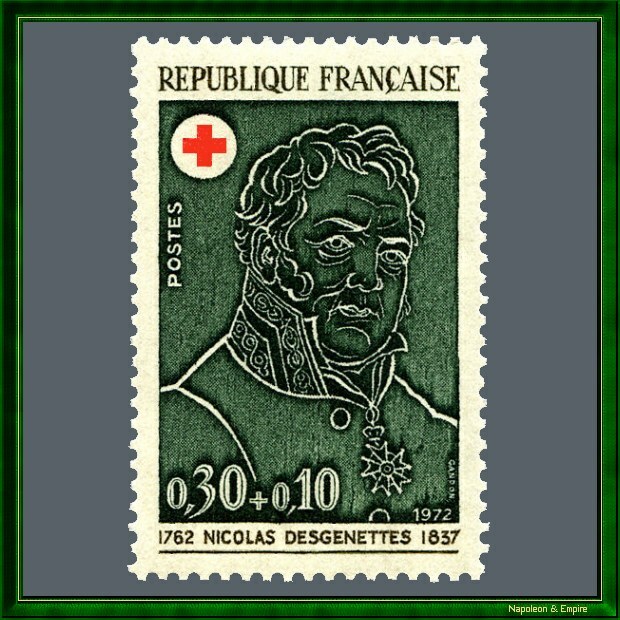 Stamp issued in 1972 in honor of the doctor Nicolas Dufriche Desgenettes (1762-1837) . Drawing and engraving are the work of Pierre Gandon. The original format, perforations included, is 26 x 40 millimeters. It was issued 4 300 000 copies of this stamp from December 1972 to July 1973. This website has been designed for a screen resolution of 1280 x 800 pixels. Last update: 2017-10-13 20:58:39.